The Red Bull Air Races are postponing their visit to Windsor this summer, according to their new race organizer. “After careful consideration, we’ve made the decision to bring in a new type of event that the people of Windsor should find way more interesting,” confirmed race organizer April Pheule, in an exclusive interview with windsoriteDOTca. “The Red Bull Hog Races are a new, special type of Race that we are eager to try out in Windsor this year,” Pheule said. 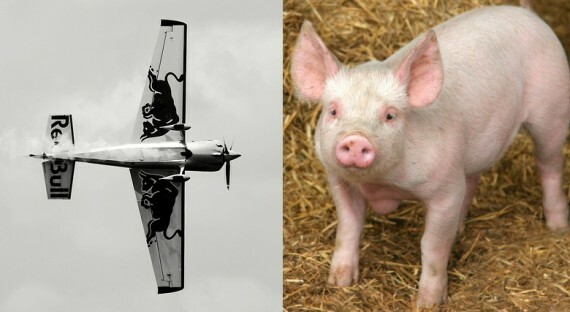 Pheule described the Hog Races as being “way cooler” than “airplanes flying in the sky”, and mentioned that if the Hog Races are successful, the planes might not need to return to Windsor in future years. When asked what he felt about the Red Bull Air Races skipping out on Windsor this June, Windsor Mayor Cecil E. Jackson described the new event as a “blast from the past” that will “…bring Windsorites together, both on the Riverfront, and at the dinner table”. The Red Bull Hog Races begin the weekend of June 5th. Sunday June 6th’s race is described as being “100% grain fed and organic”.